Sather Tower Photo by Bernt Rostad. Ivory towers are a beautiful sight, particularly against a backdrop of a cloudless sky. 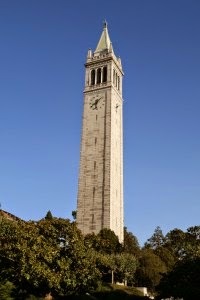 Sather Tower, known to most as the Campanile, is perhaps UC Berkeley's most famous symbol. It was completed in 1915. Visible for miles, it stands 307 feet tall and is the third tallest bell and clock-tower in the world. The observation platform, located 200 feet up, provides visitors with a spectacular view of the entire Bay Area and of the campus. With such a majestic structure with such grand history, could there possibly be mischief afoot? From the 19th century, the ivory tower has been used to designate a world or atmosphere where intellectuals engage in pursuits that are not aligned with the practical concerns of everyday life. In fact, living in the "ivory tower" is perceived as having willfully [and almost entirely] disconnected from the everyday world. Bottom line is that you don't want to hear your people ever use the word ivory tower in the same sentence with your name, referring to your leadership style. From a practical perspective, here's what ivory tower leadership would look like. You would be running the company from inside the safety of this beautiful tower. There isn't much room for other people to be with you, not even your inner circle. Perhaps just your right hand person, but only to visit from time to time. You might position your desk near the windows at the top, thinking that the view would keep you connected to what is going on around you. But no matter what direction you chose to face, some portion of your view would be obstructed. And certainly your perspective would be skewed. You are not seeing what everyone else is seeing. Without going to the observation platform, you can't see what is going on around you. And without going down to ground level, you can't see what is happening there. If you face north, you miss what happens in the south and if you face east, you miss the beauty of the sunset. Oh and if you are using your rose colored glasses even on the observation tower, that is TOTAL mischief, and not the good kind. Towers are a great place to visit when you are visiting a city or a university, but they are not ideal for visioning, planning or leading teams or efforts. Get LOTS of different perspectives, including from the top of the tower. Listen to perspectives that you are not exposed to. Stay connected. And stay tuned for more mischief. MK will be back from down under soon. If you didn't read my blog from yesterday about the [good] mischief of visioning from 10k feet, I would encourage you to go back and read that so this one will make sense. This is the view outside my client's office. You can see cars and you can see clouds and you can see where the driveway leads you from the parking lot into the street. But you can't see much beyond that. If you need to get to Philadelphia, you can't see the best way to get there could actually be driving to the Allentown airport and flying. Of course if you have a GPS, it gets easier, but there are still decisions to be made. Yes, you can get to PHL faster, but then you wouldn't have your car on the other end. And if your destination is really Tampa, FL, as mine was the other night, you wouldn't know that it was really fastest on USAirways to go through Charlotte, NC. Even holding a boarding pass to Charlotte in my hand, pulling out of this parking lot into the street, I couldn't have known without calling the airline or checking on my mobile, that the flight was delayed and I would have to fly through PHL, getting home at 11pm, instead of 9pm as planned. And if you wanted to get to Tampa before 9pm, you definitely wouldn't have been able to see that if you would fly non-stop from Allentown to St. Pete/Clearwater airport, that Allegiant would have gotten you there non-stop. When you do business planning at ground level just based on what you see or what you have experienced in the past (the bad kind of planning mischief), you simply can't see each obstacle until you come upon it. And the worst thing is that you have absolutely no perspective. Think about Google maps. When I went to Bethlehem last week, since I had never been there, I had no idea where it was. When I first did my search, I could see it on the map, but until I "zoomed out", I couldn't see it in relation to what is around it. Once I saw it at that perspective (which by the way is WAY more than a 10k foot perspective), I could see that I could even have driven to Newark to take a non-stop to Tampa, or as I ended up doing, I could fly from Allentown to Philadelphia to get a non-stop home. Are you doing your business planning focused on your strategic destination or are you mired in where you starting from, seeing only the ground level obstacles. It is time to "zoom out". That is the best kind of planning mischief. Plan with perspective. 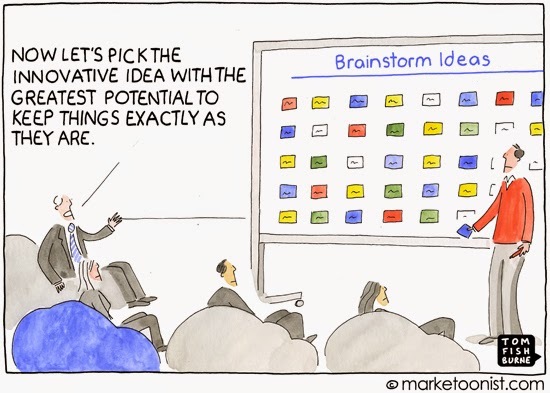 It beats the perils of planning at ground level every time. Tomorrow, we talk about planning from the ivory tower. While the height might give you some perspective, there are definite blind spots. Don't even attempt to see the detail in this picture. It just isn't possible. 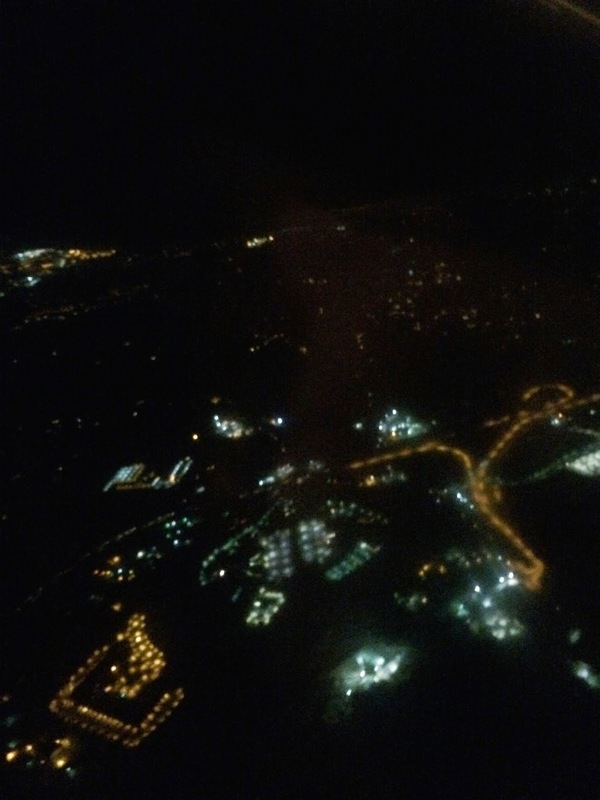 On Friday night, I was flying home from a client engagement in Bethlehem, Pennsylvania and it was as clear as a bell. When I got to the airport, my flight to Charlotte was delayed, so I had to be rerouted through Philadelphia. 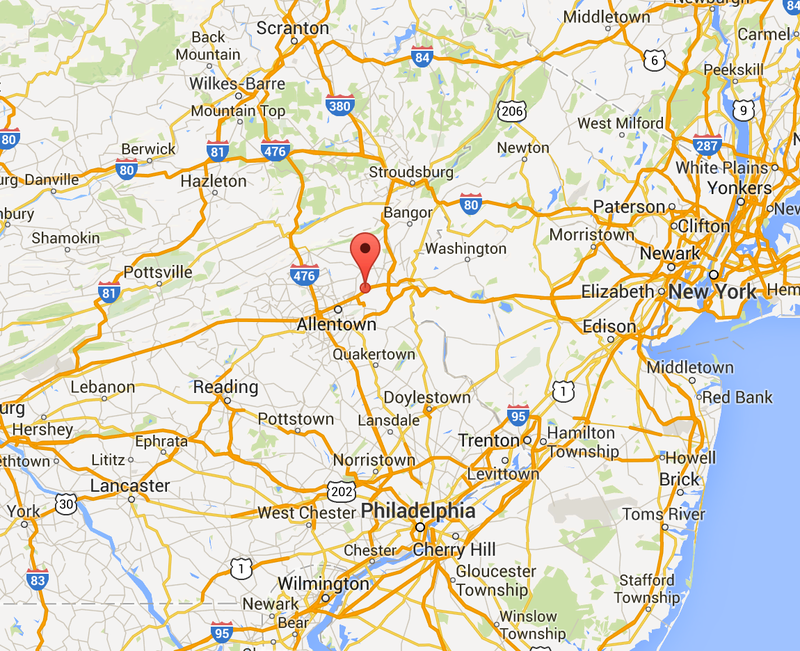 Since the Allentown to PHL flight is less than 30 minutes, we never got above 10k feet. In fact, I had forgotten to turn off my Wi-FI (I'm sure that never happens to you) and I had continued to get texts and notifications and emails the whole way. About halfway through the flight, even though the view at the detail level was not clear, something profound occurred to me. Even though the plane has sophisticated instrumentation, this night, the pilot could have just used familiar landmarks to guide him to his destination. When he took off from ABE airport, he could already see the lights of PHL in the distance. Imagine that, seeing the beginning, the middle and the end of your trip. Then it occurred to me that this is how God sees our lives and even our businesses (or should I say especially our businesses). He isn't stuck down at our level, on the ground, trying to put one foot in front of the other. He gives us not only the gift to see as he does, but He invites us to do so. A dear friend of mine had just shared with me that day a reminder of the level of detail that God gave those building the Temple in Jerusalem, and also the Ark of the Covenant and I thought also of the precision of the instructions God gave Noah in Genesis for building the Ark. They were so detailed that I have seen a scale model built directly from those very instructions. I've been a strategic consultant/board advisor for 19 years and a strategist much longer than that. I was born with the gift of seeing things at 10,000 ft and over time have learned how to use familiar "landmarks" from one client to guide me through the next. I've even learned how to do it in a storm and as high as 40,000 ft (e.g. long term planning), using past history and projections as my guide. And amazingly, I've been able over the course of nearly 2 decades of consulting to even transition from one industry to another. Having a little "God-perspective" on things helps, even in business! And as I'm sure that you have figured out by now, this is GOOD visioning mischief. You don't have to know every detail on the ground level to produce a solid strategy. In fact, the more you know at that level, the less effective the plan will be, as it will focus in too narrowly on what is in your current field of vision. It is a little harder to use your imagination there. So when we don't know what to do next in business, why stay mired in the detail at ground level. Take a little ride to 10k feet where you can see the future a little more clearly than today. Change the game. 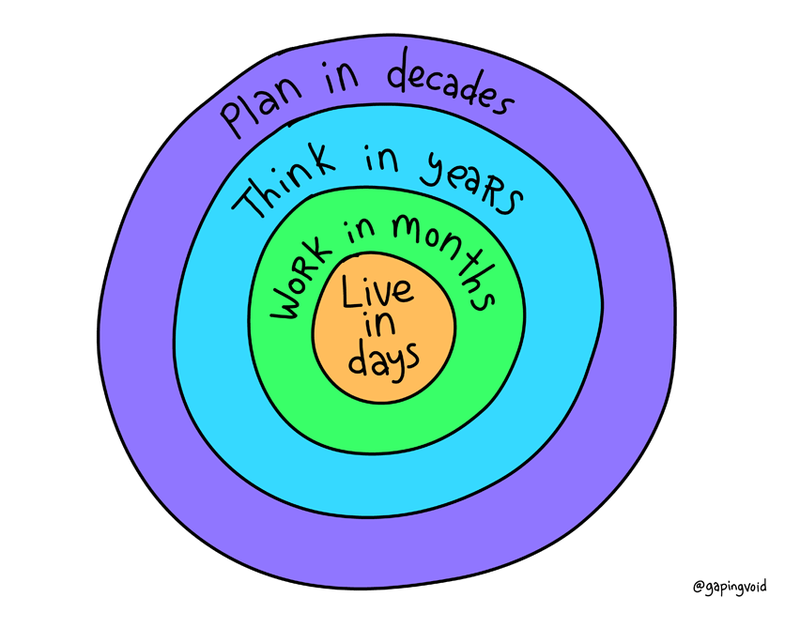 I will leave you with this visual from Gaping Void, one of my favorite business cartoonists - Plan, Think, Work and Live. Stay tuned. Tomorrow we talk about the perils of planning at ground level. This is Visioning Mischief at its worst.